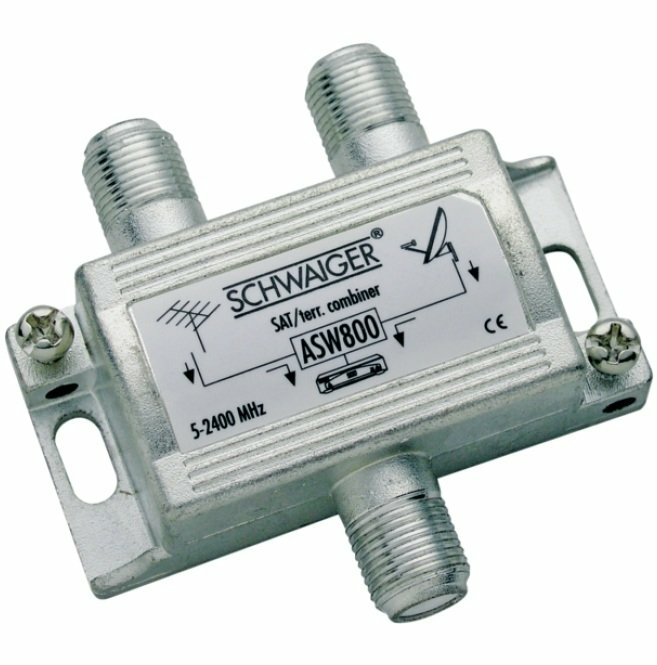 This SCHWAIGER® signal combiner is used to combine a SAT IF signal (coming from the LNB directly) and a terrestrial signal (coming from the antenna directly) to a single output. 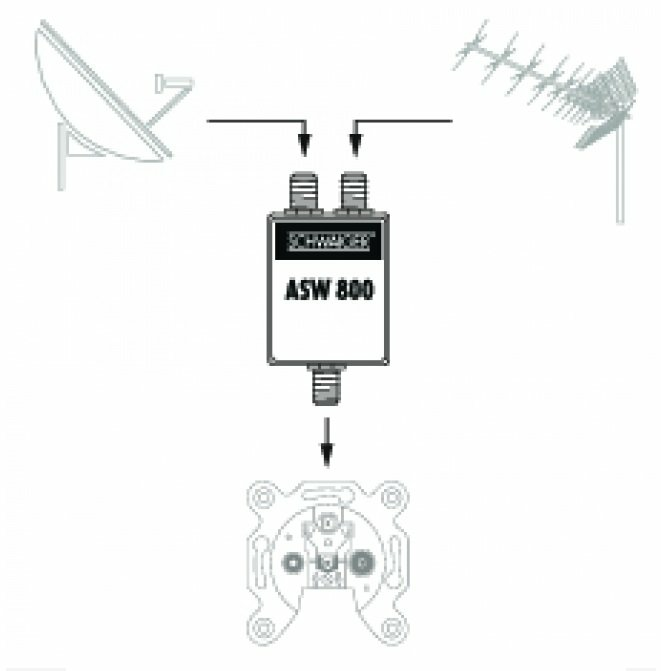 A receiving device can be connected or the output can be used to establish a connection with an antenna socket. From there, both signals can be splitted again.